Home What Does it Mean to be Reformed? 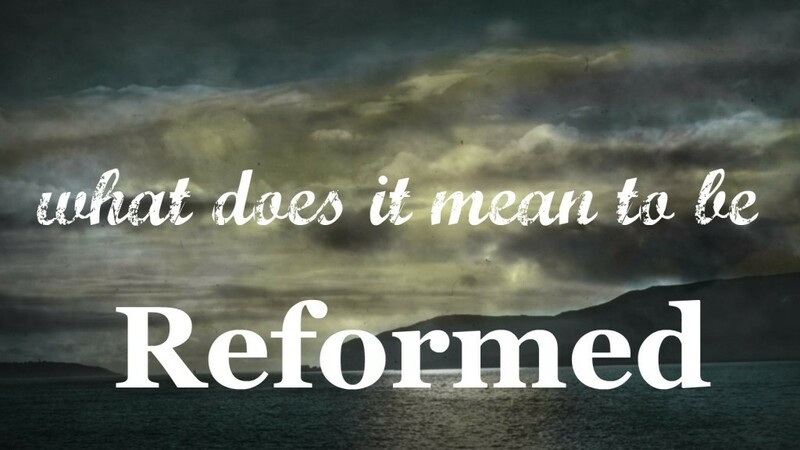 The term ‘reform’ captures the Biblical concept of ‘turning’, and is used to describe a return to the ways God revealed in His revelation. One speaks, for example, of the ‘reformation’ King Hezekiah initiated in Israel, when he sought to turn the people away from service to idols to revere again the God who made them His own people at Mt Sinai (see 2 Chronicles 29-32). This almighty God fashioned the world through His word of command in the space of six days, and He has upheld the world He made ever since. The force of the term ‘upheld’ is that if almighty God were to withdraw His supporting hand this world would immediately collapse again into the nothingness it was before He made it. All creatures, then, are fully dependent on Him for existence itself. Further, the God who upholds this world does more than keep the world existing; He also governs it so that history happens according to His pre-arranged plan. Earthquakes and hair loss come not by change or through some unwritten Laws of Nature, but instead by His Fatherly hand (whereby pressure on tectonic plates and one’s genetic makeup are simply the means God uses to bring about the earthquake or the baldness). And if one seeks to understand why He allows earthquakes to happen (and some people to lose their hair), the reformed thinker does not insist that God give account to man – for God and His wisdom is so exceedingly far above what any man can comprehend. (And again, were it not so this God would not be worthy of worship and trust). The third central belief in the reformed way of thinking is that this God of overwhelming and eternal greatness did not ignore the creature He made, but established a bond of love with mankind. This eternal and holy God, in whose presence angels cover their faces, fashioned mankind for the purpose of being bound to Him and so this God of glory adopted the creature man to be His child! Here’s a marvel one cannot begin to fathom; why would eternal God, sufficient in Himself as Father, Son and Holy Spirit, form a covenant with a creature-of-dust?! The question becomes the more pressing –and incomprehensible‒ after mankind broke that bond of love with his fall into sin: why would eternal, holy God (sufficient in Himself as Father, Son and Holy Spirit!) re-establish this covenant with sinful man?! How wonderful and awesome this God is!